Welcome to our article that helps you learn a bit more about the XYO Network! We’re excited that YOU’RE excited to learn more about XYO, how you can be a part of it, and what it all means for the world of tomorrow. If you have any more questions, be sure to check out the rest of our XY University blog! We consider XYO Network the world’s first location-based decentralized oracle. So what does all that mean? World’s first: We haven’t seen a product, platform, or tool that begins to address the gap between blockchain and the real, physical world. So that means, we’re most-likely the first! Location-based: The network focuses on location data. That means that we’re looking at latitude, longitude, elevation, weather, temperature, and all the other incredible things you can learn from a physical space! Right now, we’re focusing on locations in a more map-based setting, but future applications of our technology can combine all different attributes of location. Decentralized: This essentially means “not centralized”. In our case, the XYO Network is a network that relies on different devices that can exist all over the world, but communicate through a common software. Oracle: Simply put, an oracle is a tool that offers the answer to a question. A very historical and traditional Oracle was the Oracle of Delphi, which gave counsel to ancient Greek supplicants. Examples of our modern-day oracles might be ESPN, which gives sports fans the latest sports game scores, or Webster’s Dictionary, which will give you a definition for a word you seek! In all those cases, the validity of the answer depends on the faith the question-asker has in the oracle — it’s only one source, so they really have to trust that it will deliver the correct answer! 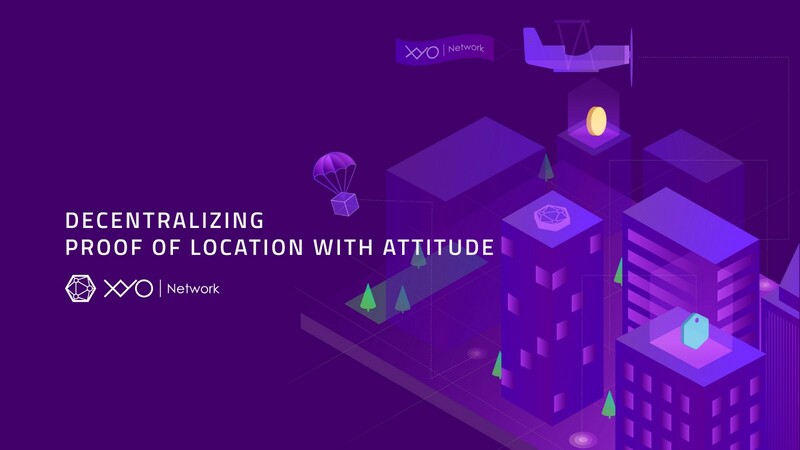 In the case of XYO Network, our decentralized nature allows us to give a more “true” answer with location data, because we have a LOT of sources that all are giving answers. Whichever answer is most often given, is most likely the correct one! Not everything needs to be on the blockchain. For example, storing images, huge files, and other items on the blockchain is incredibly expensive! However, blockchain comes with a variety of perks, and is especially fitting for the XYO Network. Decentralization: Verification does not involve any large, fee based corporations or institutions. The XYO Network runs on a completely transparent and autonomous system. It is free to use (open source) and has no entrance barriers (fair competition). Trustless: Power and trust is shared between the XYO Network’s participants rather than concentrated in a single, fee-taking individual or entity. The XYO Networks blockchain technology eliminates the need for trust by making all transactions transparent, decentralized, and secure. Permanent + Immutable: It’s important when creating a list of verified locations that the list is permanent and cannot be changed. GPS can very easily be spoofed, and that can be HUGELY dangerous! Although it can occasionally just be a Pokémon Go player trying to get a rare Pokémon, it can also be really frightening in military situations that rely on GPS for missiles, tracking, and organization. So now that we’ve broken down what our explanation means, it’s time to understand the four basic components of the XYO Network! Sentinels gather location data to be given to Bridges. You can think of a Sentinel as a look out, who checks the area for other Sentinels, and records their exchange. The most important aspect of a Sentinel is that it produces heuristic ledgers that Bridges, Archivists, and Diviners can be certain came from the same source. A heuristic ledger is like a long list of data, and in our case, it’s location data! Bridges take location data from Sentinels and pass them on to Archivists. You can think of a Bridge as a connection that “bridges” your local Sentinel ledgers to the larger XYO Network. Without that bridge, it’s like the Sentinel ledger was never recorded in the first place! The most important aspect of a Bridge is that an Archivist can be sure that the heuristic ledgers that are received from a Bridge have not been altered in any way! Currently, our XYO Network App (beta for Android) allows your phone to function as a Sentinel AND a Bridge! That means your phone can create heuristic ledgers, AND pass them on to an Archivist. Archivists take location data from Bridges and store them for Diviners. You can think of an Archivist as a bank that “archives” all the ledgers collected by Sentinels. Archivists also index ledgers so that they can return a string of ledger data if needed. They store raw data only and get paid only for retrieval of the data! They play a very important role in the Network, because they essentially store all the ledgers collected in the network. Diviners take queries and fetch answers from Archivists. Given that the XYO Network is a trustless system, Diviners must be incentivized to provide honest analysis of heuristics. Unlike Sentinels and Bridges, Diviners use Proof of Work to add answers to the blockchain. An example of a Diviner might be a company that wants to see if their shipments left a facility and arrived in a timely manner. Overall, these components work together to create a very exciting and decentralized oracle network! Right now, you can use one our pre-made geomining kits that come with some Sentinels and a Bridge to get started being a part of the XYO Network. We also have a free beta Android app that you can use to check out the XYO Network! In the future, we want to use our open-source SDKs to make the XYO Network bigger, and allow other companies to make their devices XYO-enabled, too. Why would I want to be a part of this? A very good question! Within the entire structure of the XYO Network, there exists a very fun way to benefit! The XYO Network is powered by a Utility Token called “XYO Token”. XYO Tokens are essentially the gas that allows people or companies to ask the Network queries (like, did my shipment arrive?) and the XYO Tokens they pay to ask the question get awarded to those who help create the answer! So if you’re an XYO Geominer, you can get paid in XYO Tokens when you help create verified heuristic ledgers (those data lists from Sentinels) that help answer a question asked by a Diviner. What can I do with an XYO Token? With XYO Tokens, you can do a variety of things. If you’re a developer, you could build geodapps (geo-based, decentralized apps) that use the XYO Network! Perhaps some companies will require you pay in XYO Tokens to use their service. Alternatively, you could sell the XYO Tokens on an electronic exchange to someone who really wants them! Imagine if Amazon could offer its Prime customers payment upon delivery. The XYO Network could report with an extremely high certainty that a package arrived at the customer’s doorstep and then trigger the payment. XY would not only rely on its own devices (Sentinels) for location data, but also could partner with other devices and products which are connected to the internet that can detect, record and/or relay location data. (View some of our current partnerships and announcements!) Amazon would not only know when a package arrives at a doorstep, but also other information during fulfillment: where it is in the shipping warehouse, if it has been stolen, diverted or delayed, or how many packages remain when it leaves the truck. Action is continuously being taken to bring applications to the surface. From straightforward to complex, the XYO Network has vast applications that span a multitude of industries. Airline baggage tracking, medical facility equipment tracking, cargo hold inventory verification, package theft detection, car rental key tracking, school arrival notification, and countless more. The use cases are infinite and the potential is unlimited! Right now, we’re expanding the network by building our XYO Geominer community, reaching out to enterprises and companies about how XYO can impact their business, and finding new ways to transform the location+blockchain industry. We’d encourage you to follow our other Socials, and maybe even read some other articles to learn more!